If life is like a box of chocolates, traveling with kids is like navigating a field of landmines. 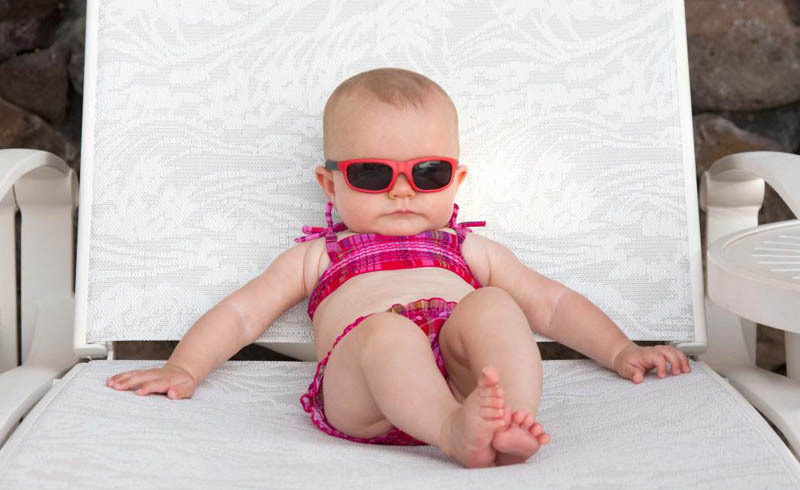 If you’ve never traveled with kids, it’s easy to assume your getaway will go without a hitch. Pack 'em up in their cutesy car seats, grab the diaper bag, and bring along the collapsible stroller. They’ll sleep all day, right? Maybe, but maybe not. As a parent with two kids and in-laws who live three states away, I can tell you it’s a crapshoot. Some trips are uneventful; others are downright brutal. If life is like a box of chocolates, traveling with kids is like navigating a field of landmines. So, how can parents avoid 12 hours of screaming or a total meltdown on an airplane? 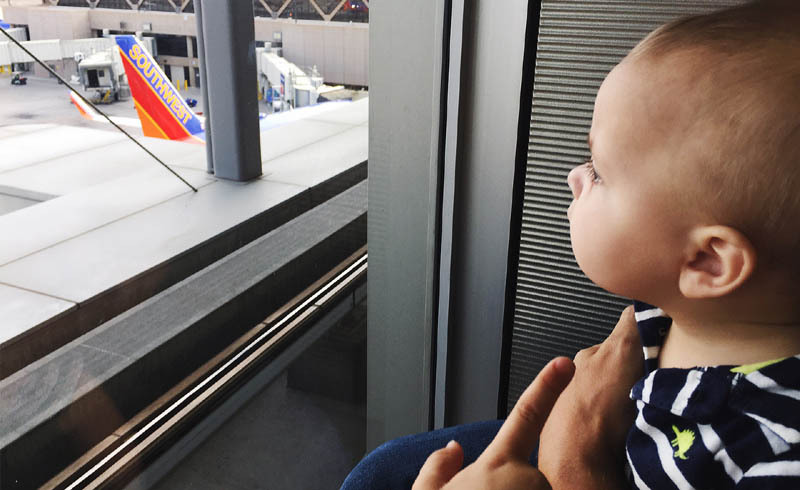 Here’s a holiday travel checklist for new parents. While traveling “light” with kids is a noble goal, you’re better off bringing anything you think you need. I learned this lesson the hard way during one of our first trips to the in-laws when my oldest was a baby. We didn’t pack an extra pacifier and left the only one we had behind at a restaurant. Unfortunately, we didn’t realize this until hours and miles later when she woke up and started screaming. We did what any parent would do: We got off the highway to visit the local Wal-Mart, buying whatever pacifiers we could find. It worked out OK in the end, but the day was a lot more stressful than it had to be. If you want to avoid extra stops – or worse, a situation where there’s nothing you can do (like on a plane!) – think through anything your child might need and bring it along. Diapers, wipes, ointments, foods, snacks, you name it. And don’t rely on memory alone; it helps to make a list a few weeks before and add as you think of new items. Double-check your flight time & get assigned seats. Winter travel can be tricky due to inclement weather and delays. Before you head to the airport, check your flight status online to make sure it’s not held up. The last thing in the world you want is to get to the airport hours early for no reason and without enough supplies. Also, get assigned seats so can sit together and tackle this parenting thing as a team. Print directions & bring them with you. Smartphones die and wireless service doesn’t always work. If you plan on relying on your smartphone for directions, you could be out of luck. Before you head to a new destination, print directions to your hotel or wherever you’re going. While travel is one of the best ways to bond with family, there is plenty that can go wrong. What happens if you get sick and need emergency medical care? What would you do if you got into a car accident? Lastly, what if you didn’t make it home from your trip? Getting properly insured is always a good idea, but it’s especially relevant when you travel. Travel insurance can cover costs associated with any trip cancellations or delays, but you should always have the right amount of car insurance and health insurance for your family, too. And, if you’re a first-time parent, the upcoming holiday trip might serve as an important reminder. Life insurance ensures your family will be taken care of financially whether you’re around or not. Policygenius can help you quickly pull life insurance quotes and determine the best policy for protecting your family. Bring first aid & medicine. Pack diapers, bottles and essentials for sure, but also first aid supplies and any medicine your child (and you) could need. There’s nothing worse than realizing your kid has a fever when you’re in the air or a car on the freeway. Ask me how I know. Do you need a passport or visa for holiday travel? Check your travel documents before you fly so you’re not stranded at the airport. Kids flying domestic routes with parents don’t need identification to travel, but passports are crucial for everyone – even babies – if you’re leaving the country. If you’re curious about the travel documentation you need, check out the resources at travel.state.gov. Bring cash & credit cards. Also consider bringing credit cards from different issuers in case Chase, Visa, or Amex have some internal problem. And if you’re traveling abroad, carry a credit card with no foreign transaction fees. Don’t forget what’s happening at home. Last but not least, you need to think about more than your trip. What happens at home while you’re gone? Do you have someone to get your mail? Have you made arrangements for your pets? Have you asked neighbors to keep an eye on your house? Think long and hard about everything you need for a smooth holiday getaway, but don’t forget to secure your home and get everything is taken care of while you’re gone.